I love this time of year because we begin grilling out a lot! One of those grill time staples is hotdogs and Ballpark are some of the best! 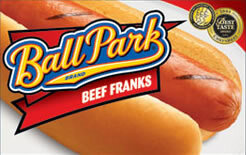 Now you, like me, can save $.75 off any purchase of Ballpark hotdogs purchase with this new printable coupon.